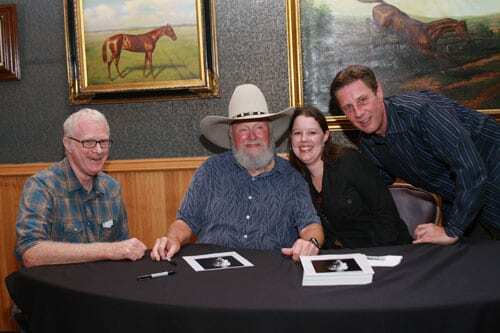 Charlie Daniels Band headlined the second concert in NSAI’s “It All Begins With A Song” Performance Series at the Wildhorse Saloon on Thursday night (8/27). The packed house was treated to a few tunes by Old Union prior to an energetic performance by the CDB, which included hits “Long Haired Country Boy,” “The South’s Gonna Do It Again” and the gospel classic “How Great Thou Art.” As the night concluded, Daniels was presented with BMI MillionAir Awards for one million performances of “The South’s Gonna Do It Again,” “In America,” “Drinking My Baby Goodbye,” and four million performances of “The Devil Went Down to Georgia.” He also received specially autographed lyrics of the “Tennessee Waltz” from NSAI for his contributions to the music industry. 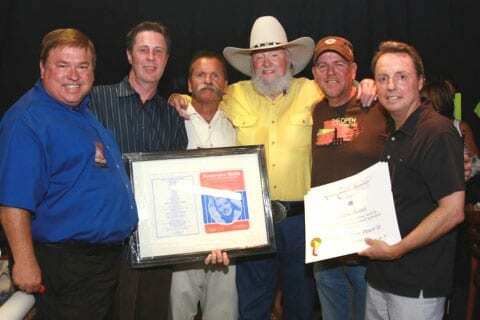 During the band’s final song, “The Devil Went Down to Georgia,” the CDB was accompanied by Pro Golfer John Daly.